Winnings.com is a brand owned by Winnings Limited, a company incorporated under the laws of Guernsey. 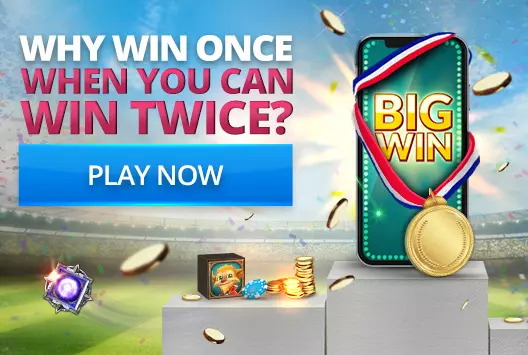 The games on this website are powered and operated by Aspire Global International LTD.
4.11 You may at your discretion choose to exclude yourself from using The Company for a definite or an indefinite period. In order to block your access to The Company Services you may send an email to care@Winnings.com; you may use the cooling off period function where you can suspend your account. For further information please see our Responsible Gaming Policy . 16.3 By signing this Agreement and ticking the appropriate box upon registration You hereby agree to receive any communications or advertising from The Company regarding its services or products including by electronic mail and SMS. Should You wish to "opt-out" of receiving communication from us at any time please let us know by sending a blank message with the word "remove" to support@Winnings.com. Should You wish to "opt-out" of receiving SMS marketing messages communication from us at any time please let us know by replying "stopmessage" to any of our SMS sent to you. Site means the website located online at Winnings.com and its related mobile/tablet application. .
7.1. You may close your Player Account and terminate the Agreement at any time, by contacting us at care@Winnings.com and we shall terminate your Player Account within 7 days of our receipt of such request to the email address care@Winnings.com. The Agreement will terminate when we close your Player Account, You will be responsible for any activity on your Player Account until we close your Player Account. 10.1 If you have a complaint, you can contact us at:care@Winnings.com. We will seek to resolve a reported matter promptly. Complaints will be escalated internally according to the urgency and nature of the complaint, and once a solution has been identified it will be made known to you as soon as reasonably possible.